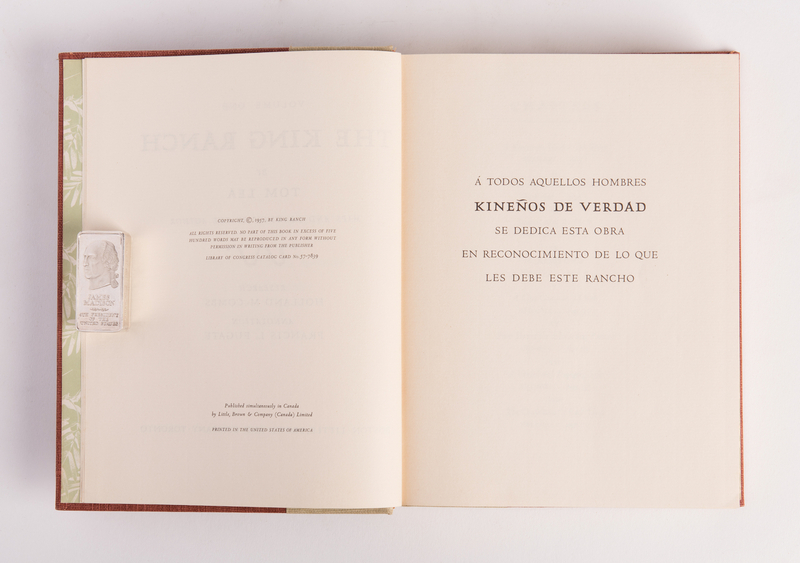 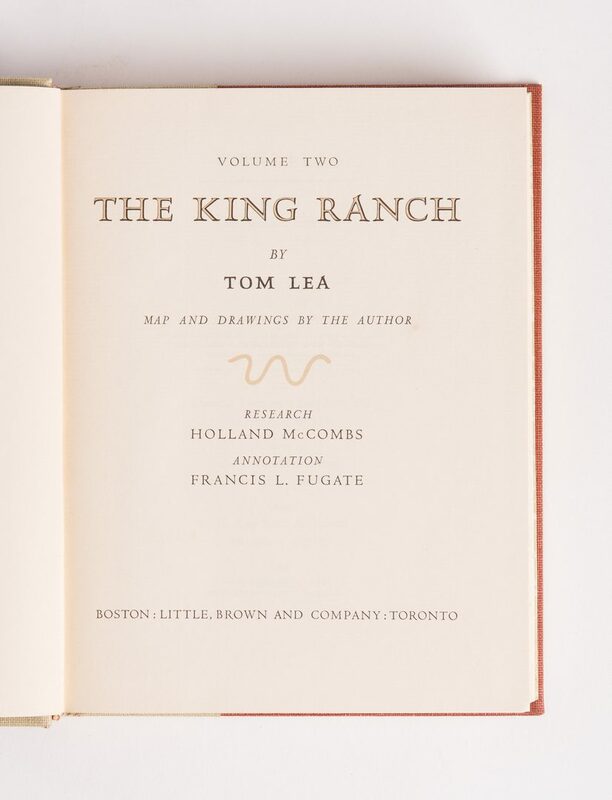 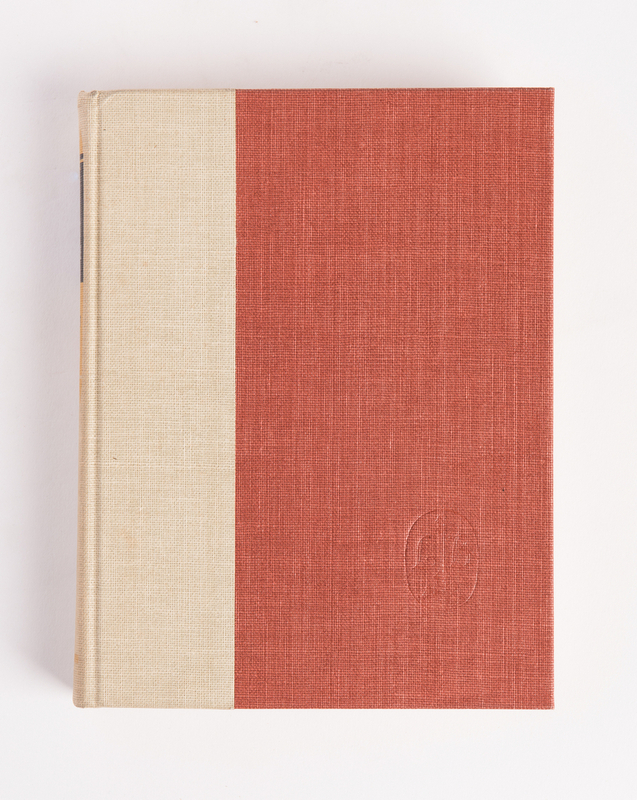 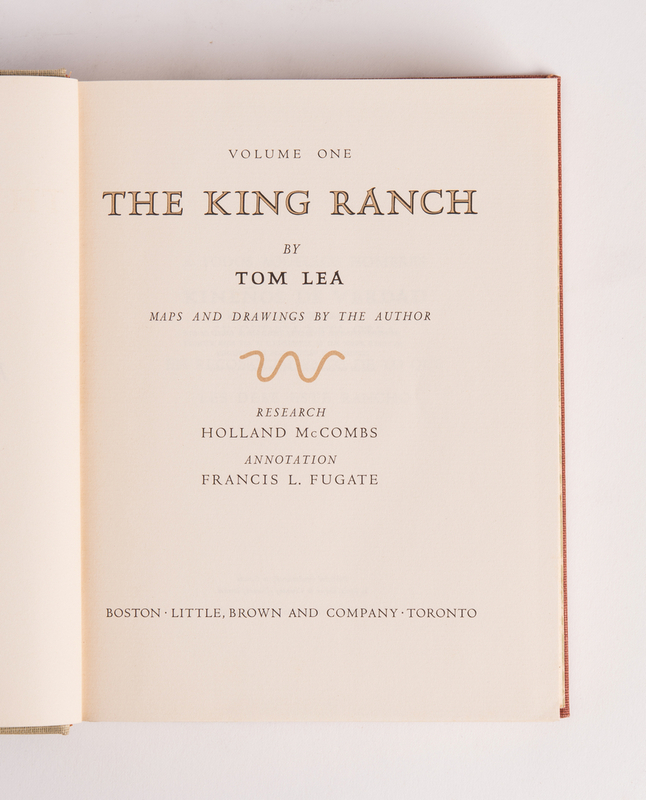 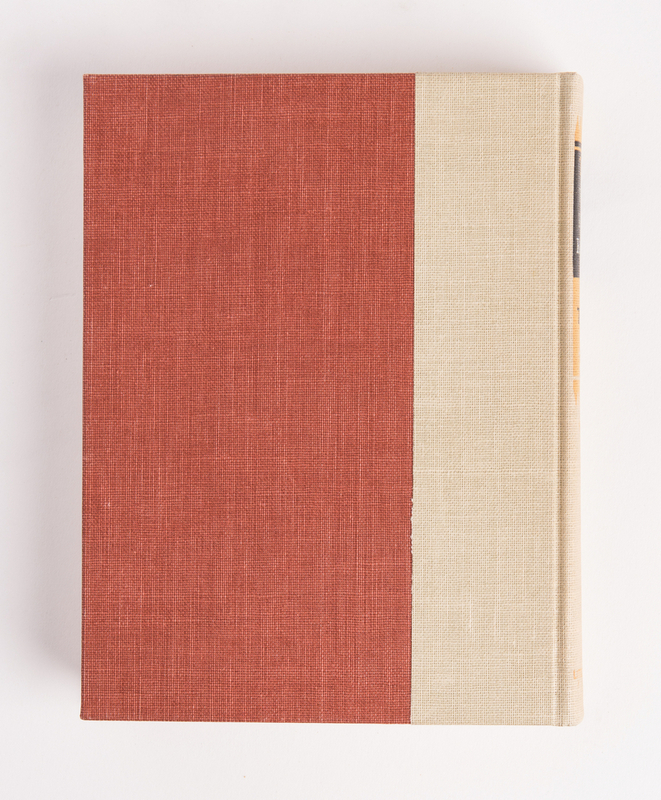 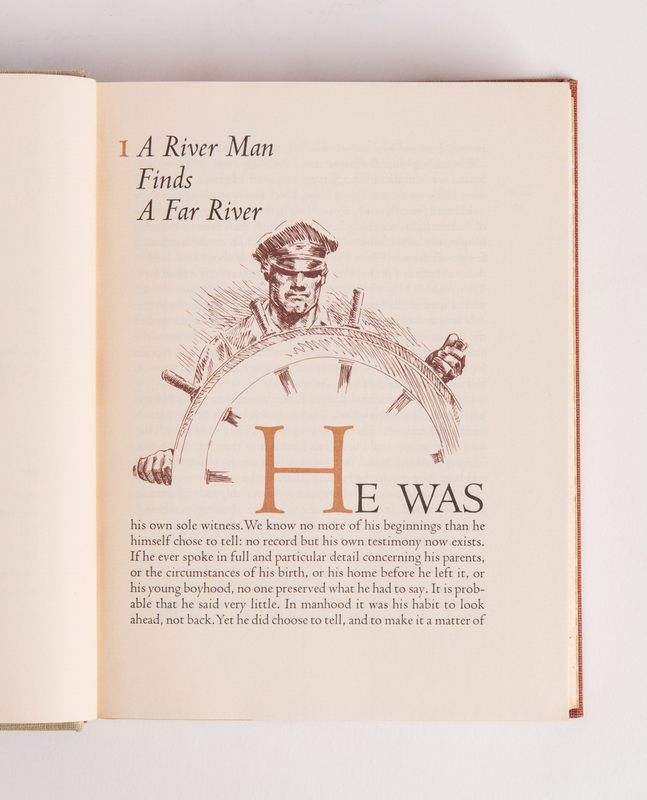 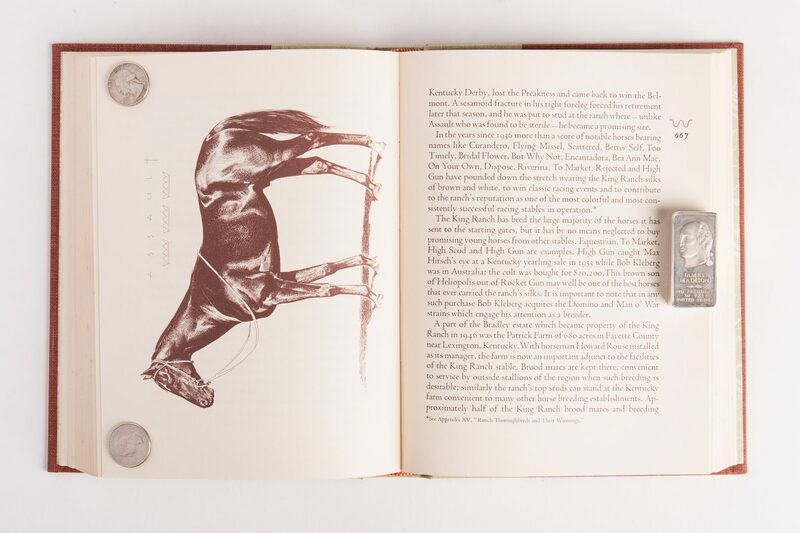 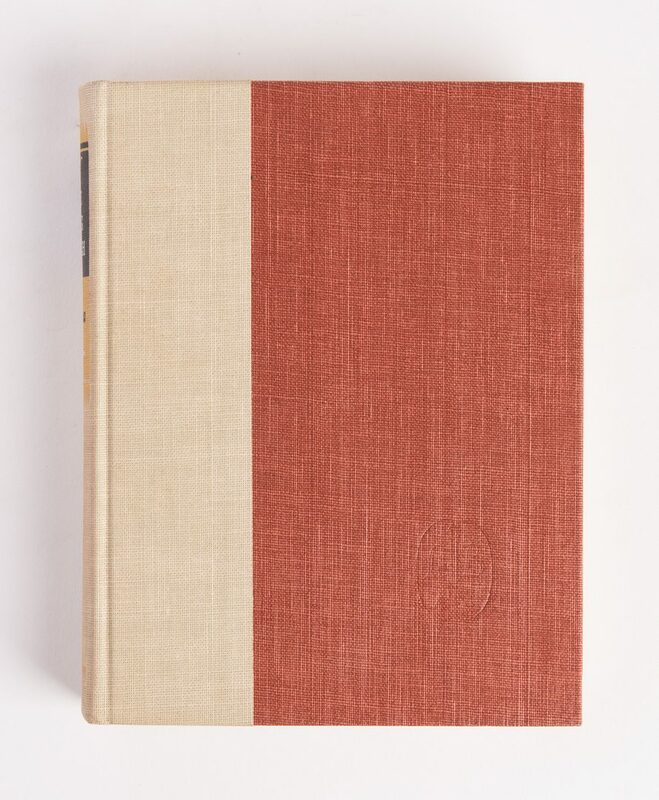 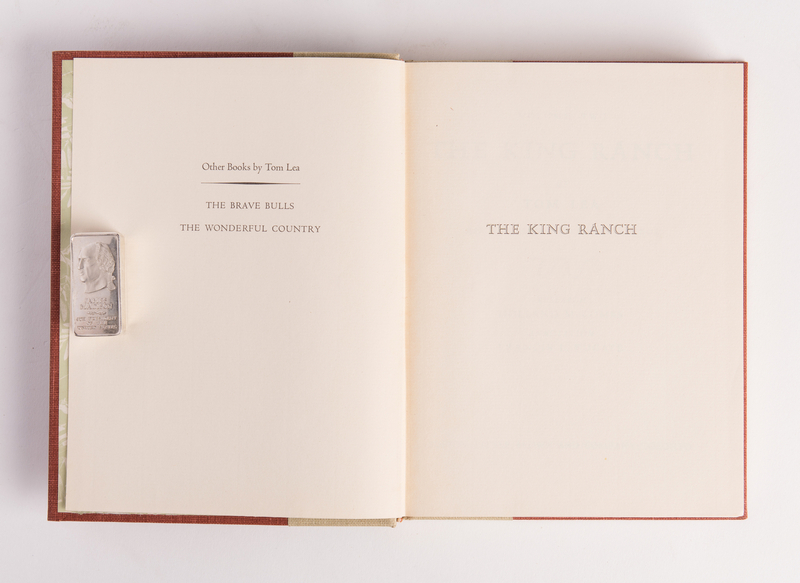 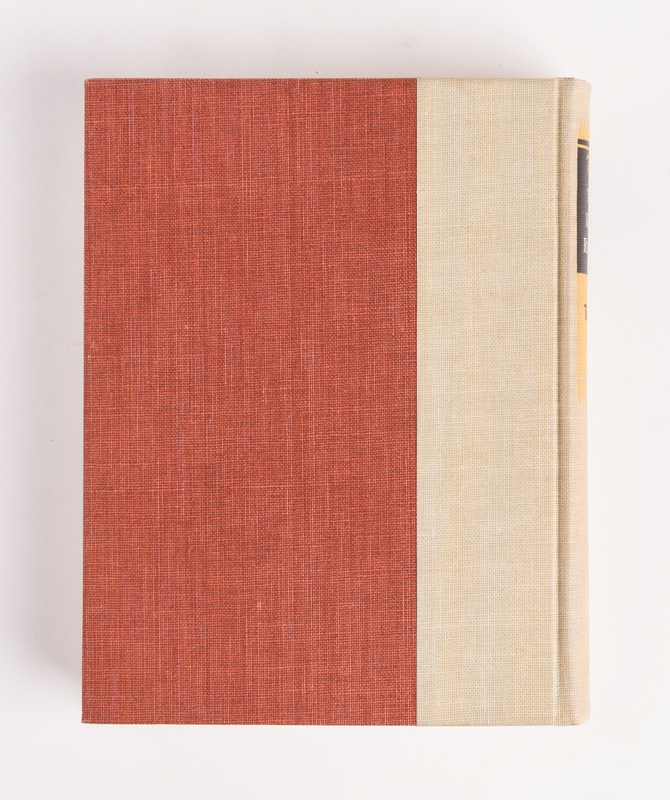 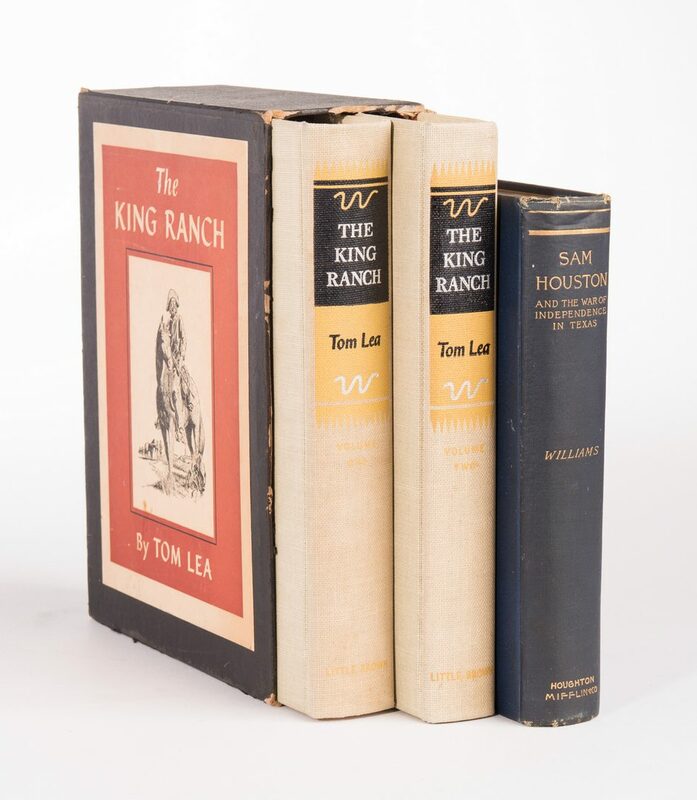 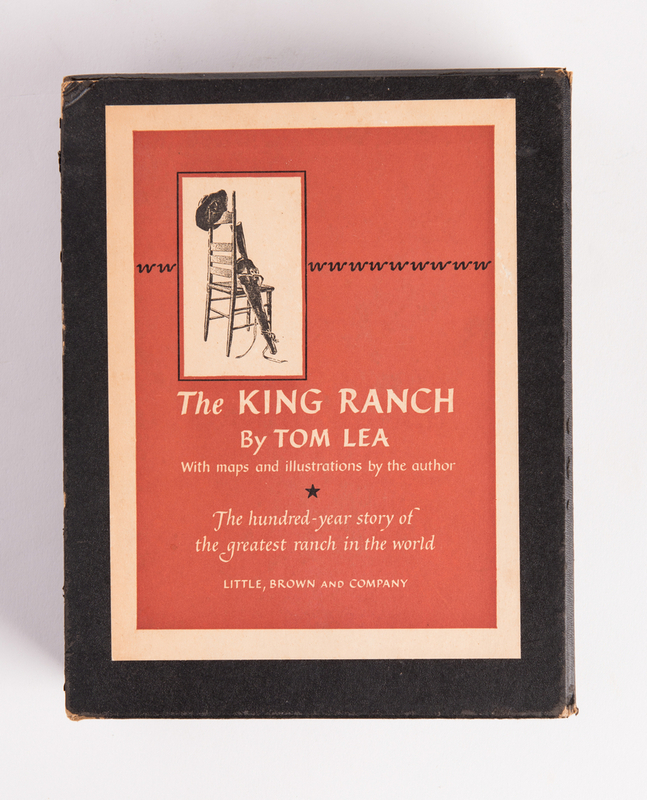 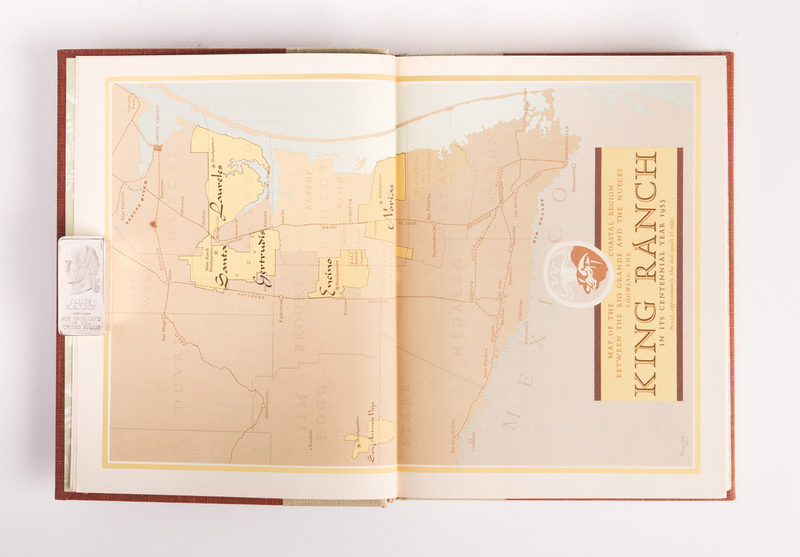 1st item: Author signed first edition "The King Ranch", by Tom Lea, published by Little, Brown and Company, Boston, 1957, 2 volumes housed in the original slipcase. 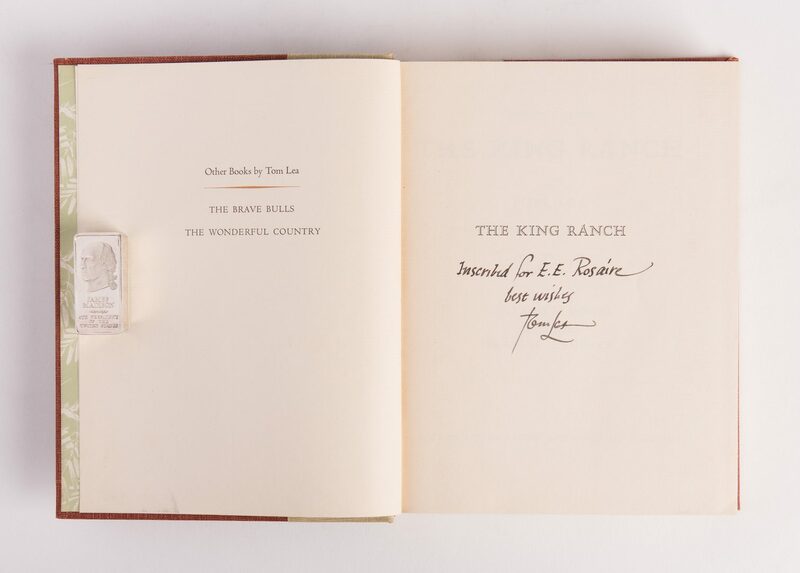 Inscribed on the half-title page "Inscribed for E. E. Rosaire/ best wishes/ Tom Lea". 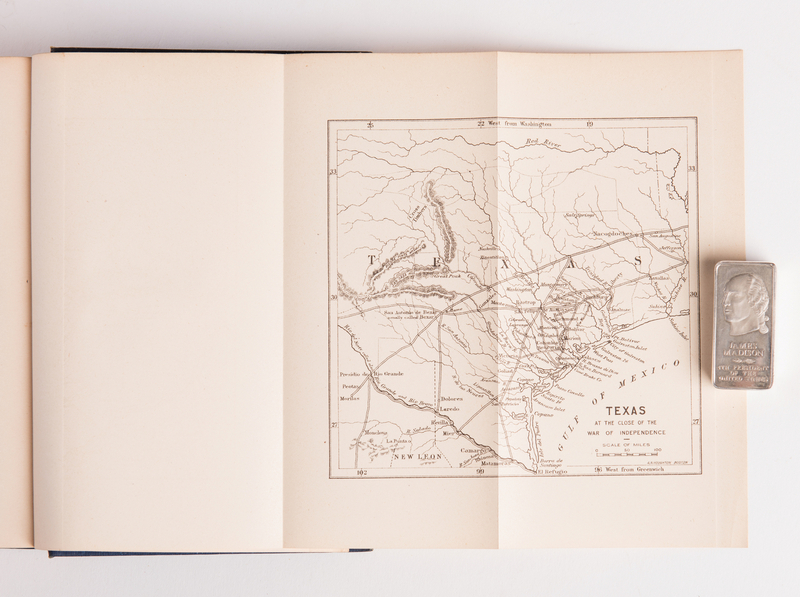 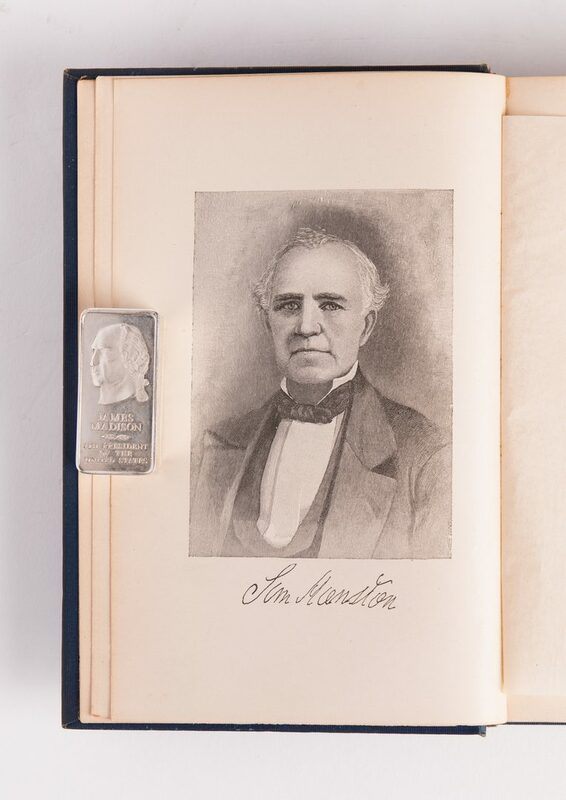 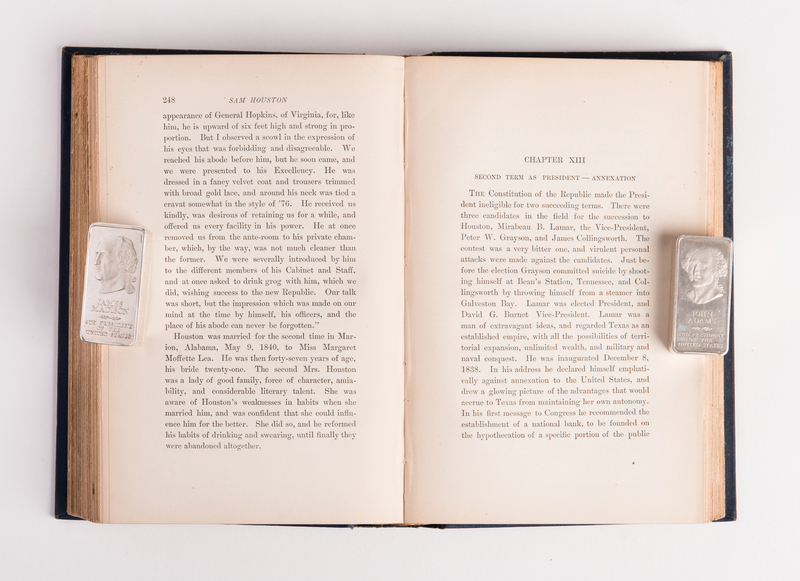 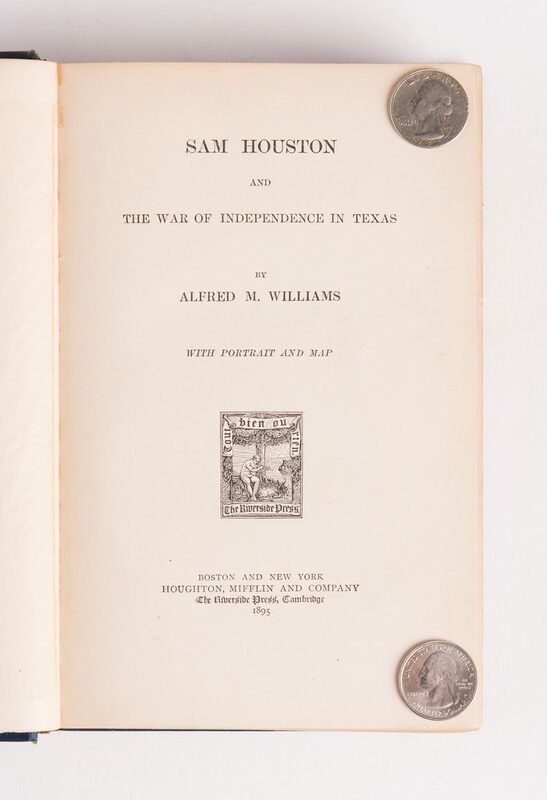 9 1/2" H x 7 1/2" W. 2nd item: Sam Houston and the War of Independence in Texas by Alfred Mason Williams (1840-1896). 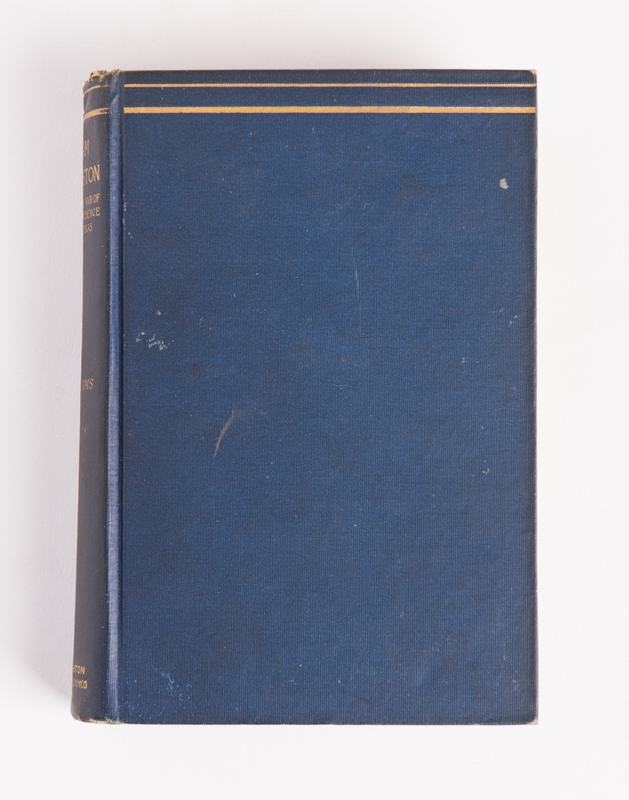 Published Boston and New York, Houghton, Mifflin and Company, The Riverside Press, Cambridge, 1895. 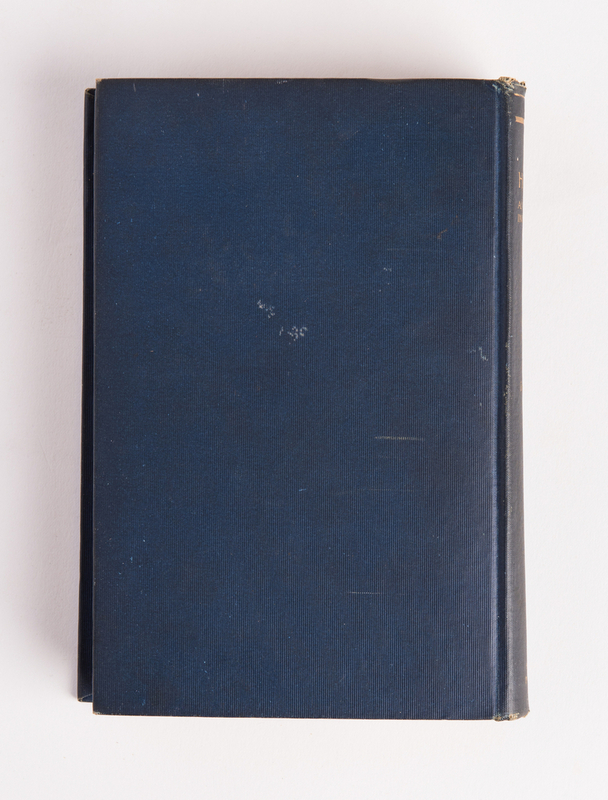 Navy cloth binding with gilt lettering to the spine. 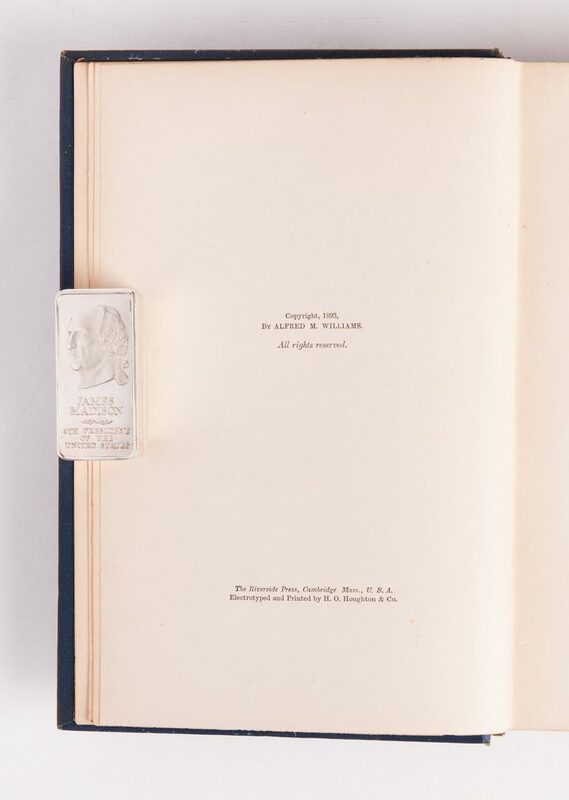 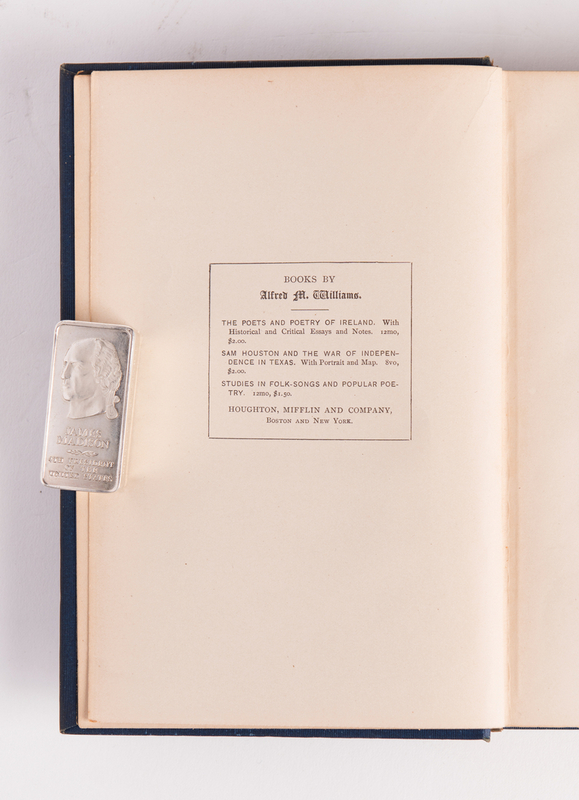 8 1/4" H x 5 1/4" W. CONDITION: 1st item: Wear, slight losses to slipcase. 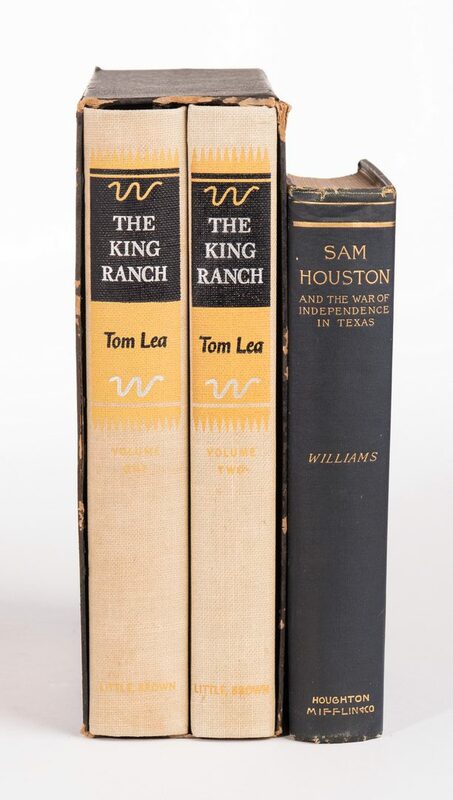 Fading to spines of books, otherwise books very good and clean condition. 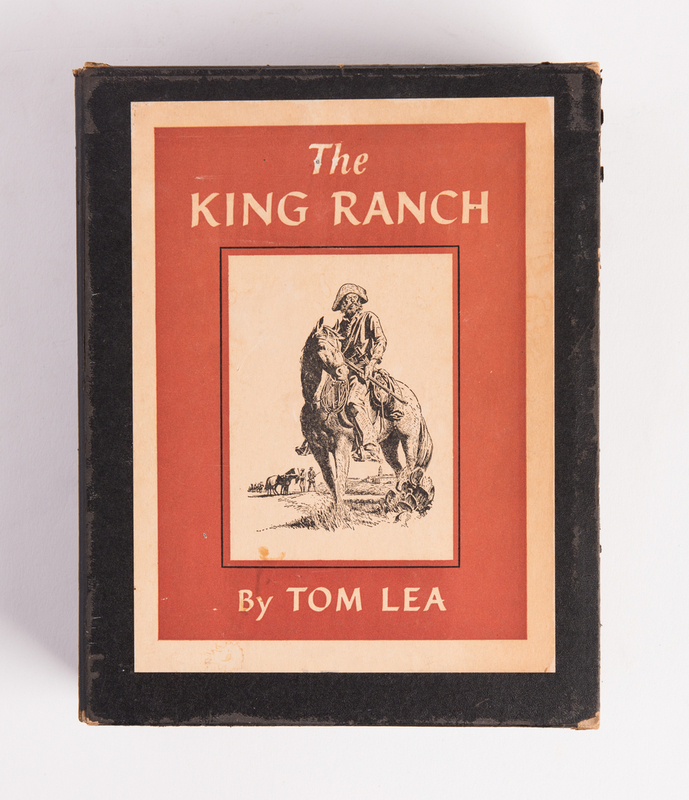 2nd item: Some fading to spine, minor wear to top and bottom of spine and corners. 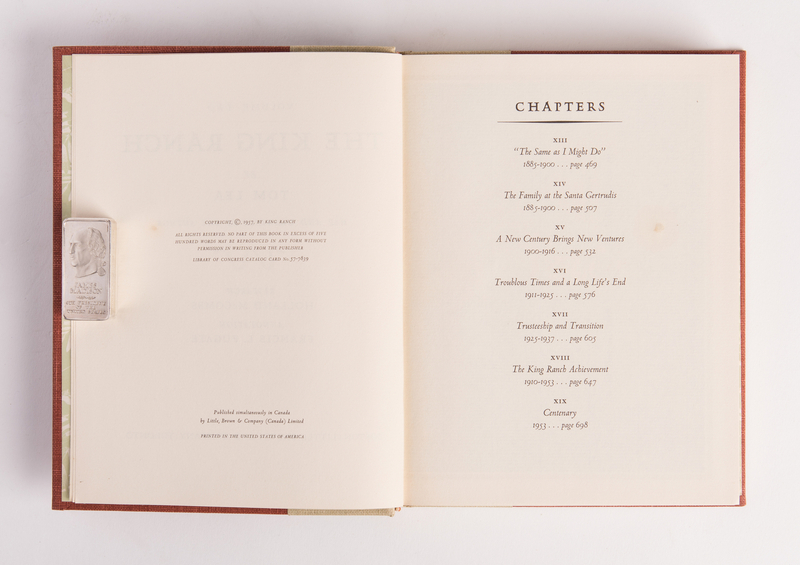 Interior pages clean.